I am completely and utterly in love with vintage mirrors. Square, circular, beveled edges, victorian, art deco, on the floor, hanging, solo or with lots of others. They give a great romantic, chic feel to a bathroom or bedroom and can tone down a modern room really well making it a bit friendlier. 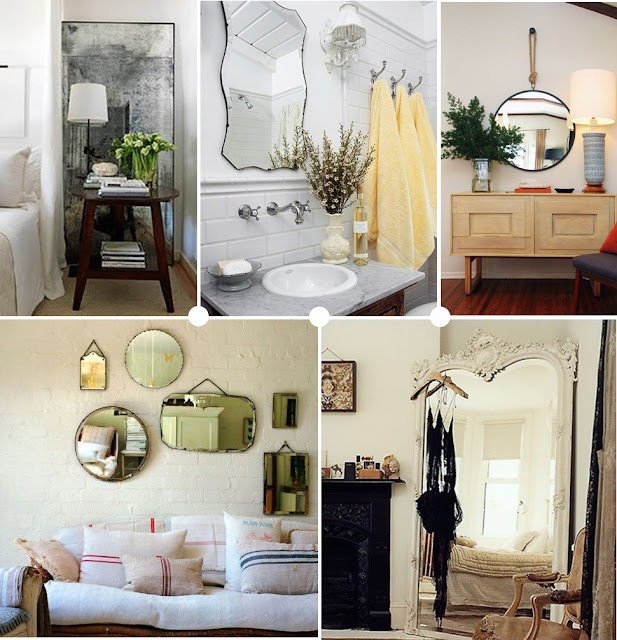 Below are some of my favourite ideas and 'wish I had these' mirrors and you can check out some more vintage mirror inspiration HERE on my Pinterest page.